Connecting internal inventors with external partners. 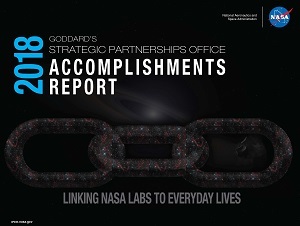 The SPO (formerly known as the Innovative Technology Partnerships Office – ITPO) submits an annual report to highlight successes surrounding technology transfer, SBIR/STTR, and partnerships. The most recent report (aka accomplishments report) is shown below (click here for our report archive).